Parquet is a wide-ranging term. There are both multi-layer and solid wooden floors. It is best to find out about the different types and finishes depending on the space for your floor. We have both oiled and lacquered wooden floors in our range. 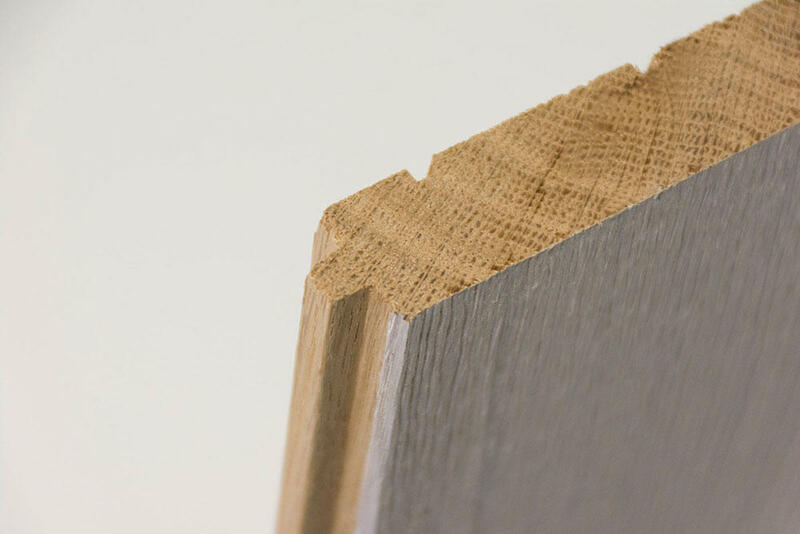 Each type of finish has its own specific properties, both as regards appearance and maintenance. The application of parquet oil is a saturation process: the oil penetrates into the wood grain of the parquet until it is completely saturated. 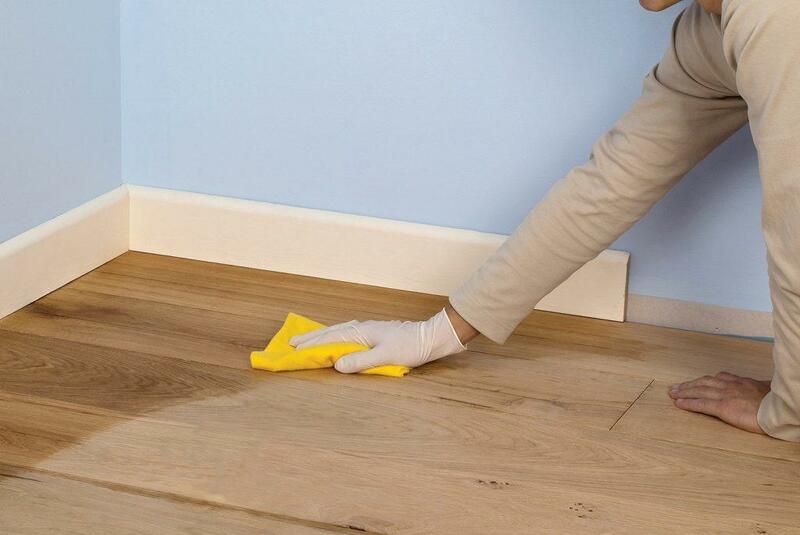 This parquet oil can be applied either manually or mechanically. In addition, a distinction is made in the drying processes. By applying lacquer, a film is created on the surface of the wood which completely seals off the pores of the wood. 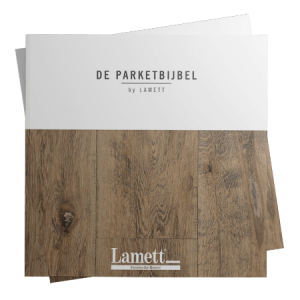 Lamett oak parquet is finished with a mat lacquer which mimics the appearance of oiled parquet as much as possible. Parquet lacquer is applied perpendicular to the wood grain using a roller. Several layers are applied, and each layer must dry completely before the next layer can be applied. The total thickness of this layer of lacquer determines the wear-resistance of the parquet floor. 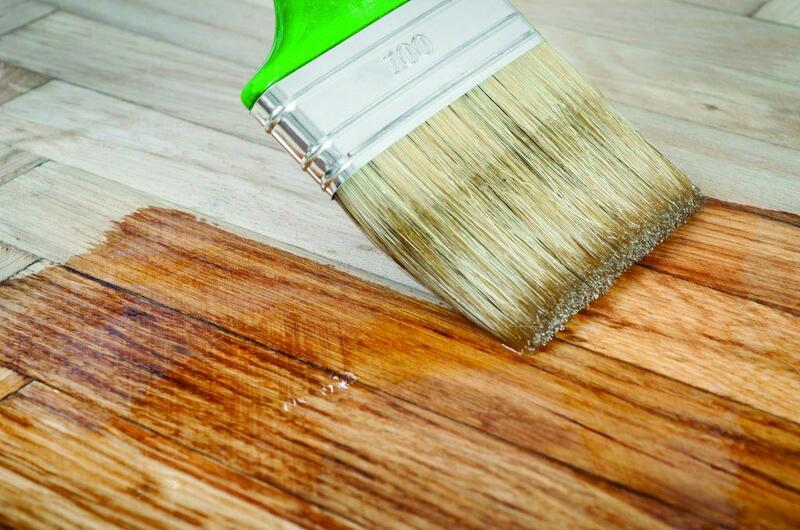 The oil is applied evenly with a brush or roller in the same direction as the wood fibres. After a short penetration time, this parquet oil is rubbed into the wood mechanically, and the excess oil is also removed mechanically. 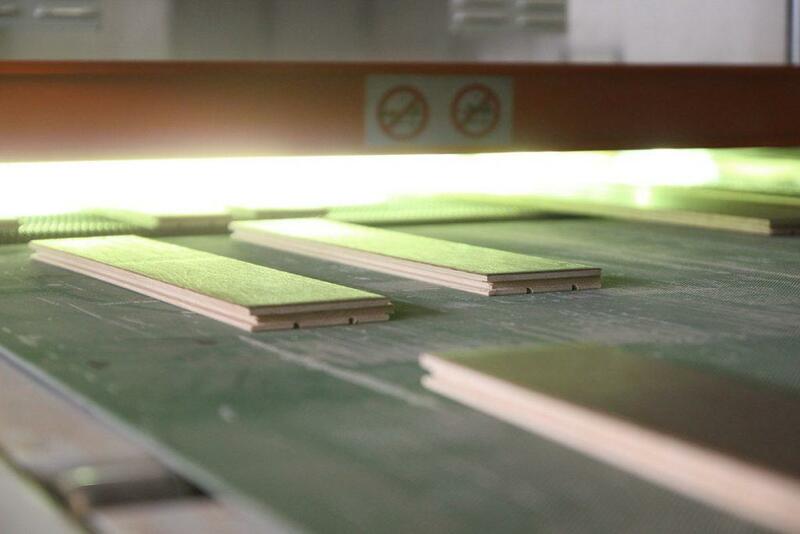 The planks are dried in just a few seconds with UV radiation. A photo-initiator is added to the oil before use. This initiator is activated by the UV radiation. These molecules initiate the curing reaction. The planks leave the oil-processing line dry and ready to be packaged. The application of the parquet oil occurs here in the traditional manner. Each plank is oiled manually with very high quality parquet oil (Rubio Monocoat or Woca oil). In order to achieve the look of authentic oiled parquet, the oil is applied and then wiped away again until optimal saturation of the wood fibres is achieved. 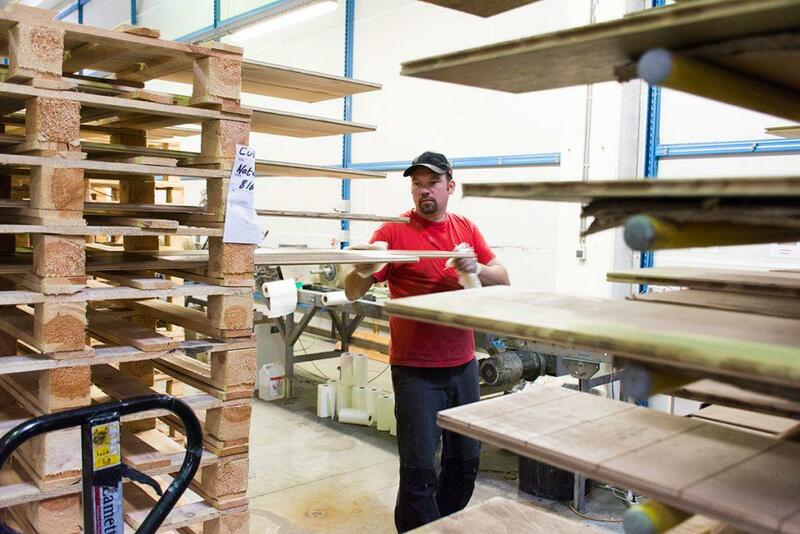 To fix the colour, the planks are placed on the drying racks for 5 days where they are allowed to dry in a completely natural manner. The result is a plank with a distinct wood grain, both in the light and the dark tints. Previously, this entire process was carried out on-site, with all of the many practical inconveniences that resulted (dust, rooms that were inaccessible for several days, … ). Parquet is subdivided based on the composition of the planks. Solid parquet consists of a solid block of wood in which a tongue and groove have been carved. Most people think that solid plank parquet is the top of the line in parquet floors. But solid parquet is susceptible to shrinking and expanding and will often be advised against by the parquet layer. If, however, you fully realise and accept that a solid plank ‘lives’ and can shrink or expand during winter and summer this is not a problem. Solid parquet floor is a very noble product. Multi-layer or engineered parquet is composed of 3 or more layers of wood affixed to one another at right angles. 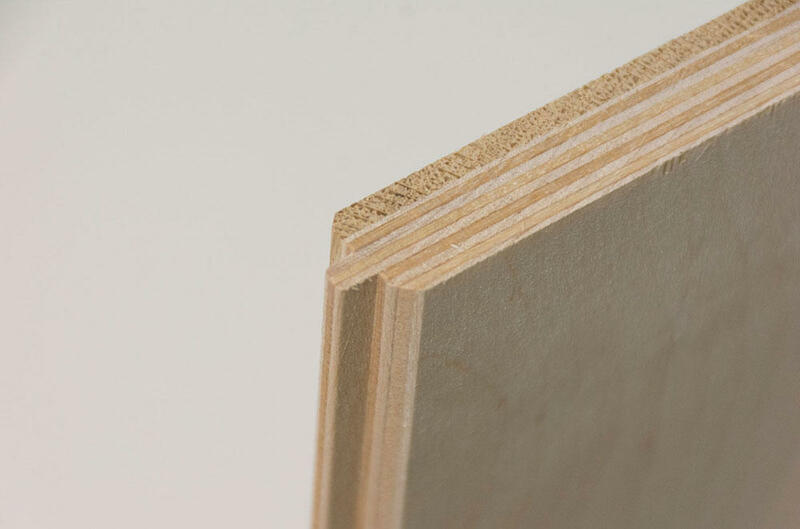 The top layer is made of hard wood (e.g., oak) with a thickness of at least 2.5 mm. The layers below are also made of wood products but then of pine or wood sheeting (e.g., plywood, pressed wood fibre (HDF), ….). This type of parquet is the solution for the problems that may arise when using solid parquet. Multi-layer parquet is much more stable than a solid parquet floor. 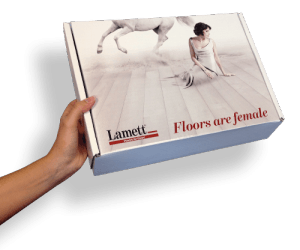 Before you purchase a parquet floor it is important to get plenty of information beforehand. In this book we provide a summary of the types of wooden floors and the types of finish, oil and lacquer. Installation and maintenance are also explained. What about underfloor heating? What is the ideal humidity? This book offers an answer to all your questions.